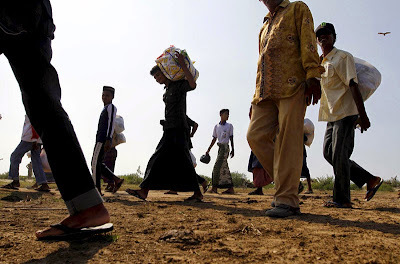 A Malaysian minister has said that the U.N. should send Rohingya and Bangladeshi asylum seekers stranded off his country’s coastline to Cambodia and the Philippines, rather than attempt to persuade his government to house them, Malaysian media reported on Thursday. Datuk Seri Shahidan Kassim, a minister in the Prime Minister’s Department, was reported as telling the New Straits Times that Cambodia and the Philippines should take responsibility for the asylum seekers because both countries are signatories to the 1951 U.N. Refugee Convention. “If they pass through our maritime border and humanitarian considerations need to be applied, we will save them, take them into custody and hand them over to immigration for detention,” Mr. Shahidan Kassim is quoted as saying, according to the Malay Mail. “From there, UNHCR must take charge and move them to another country, or send them back to their country of origin,” the minister reportedly said, listing Cambodia as a potential option due to its closer proximity to Burma. Some 8,000 Rohingya and Bangladeshi asylum seekers and migrants are believed to be stranded off the coasts of Malaysia and Indonesia. The spike in migrants stuck at sea follows a crackdown on people-smuggling networks in Thailand, which are often used by Rohingya asylum seekers fleeing persecution in Burma. Kerm Sarin, director of the Interior Ministry’s refugee department, directed questions about the migrants to the Ministry of Foreign Affairs but said that Cambodia would deal with any asylum applications in line with the Refugee Convention. “Those refugees can request asylum if they have characteristics that meet the refugee requirements,” Mr. Sarin said. Officials at the Ministry of Foreign Affairs could not be reached. “Governments in this region cannot continue to play ping-pong with these people’s lives. Malaysia needs to accept responsibility to provide at least temporary protection for Rohingya that are arriving on its shores,” Mr. Smith said. “I can’t say if Cambodia would be asked…but I think we haven’t seen the last of these boats, and the abuses in [Burma] are continuing—the situation in Rakhine state has worsened considerably,” he said. 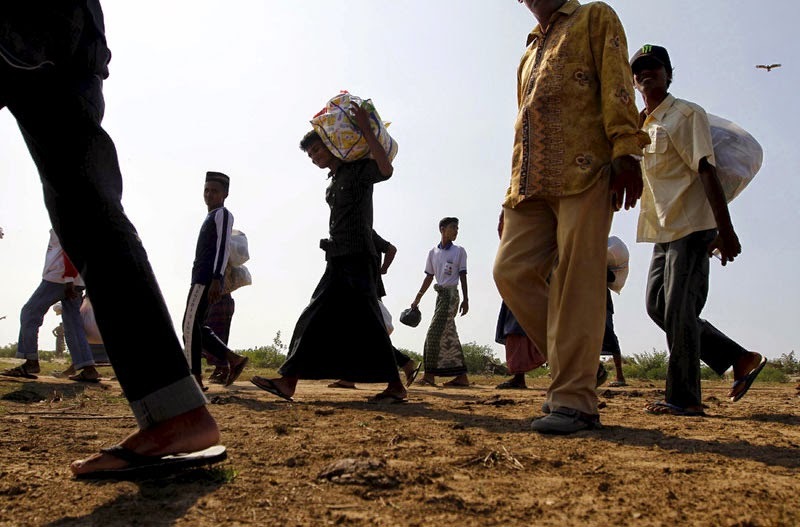 Phil Robertson, deputy Asia director of Human Rights Watch, pointed to Cambodian authorities’ recent deportation of Montagnards fleeing persecution in Vietnam as an example of why the country should not be considered a possible home for the asylum seekers. “​Cambodia doesn’t have the capacity to take care of the 80 or so refugees already in the country, so clearly it doesn’t have the ability to absorb this wave of Rohingya and Bangladeshi boat people,” Mr. Robertson said in an email. “But in some ways, Cambodia has brought these problems on itself by signing up to the Australia deal and agreeing to become Canberra’s refugee dumping ground,” he said, referring to Cambodia’s controversial agreement with Australia to take in an unspecified number of refugees currently being held on the South Pacific island nation of Nauru.